Whether you’re addressing pain, performance, or health needs, acupuncture in equines is only as effective as your point selection. Choosing the right points to address the right problems is critical. Get it right, and you get wonderful results. Get it wrong, and the unaddressed problem is compounded by disappointment and frustration. AcuGraph helps you practice with confidence by providing objective evidence of meridian imbalances and logical point selection to restore harmony. There’s no guesswork with AcuGraph! 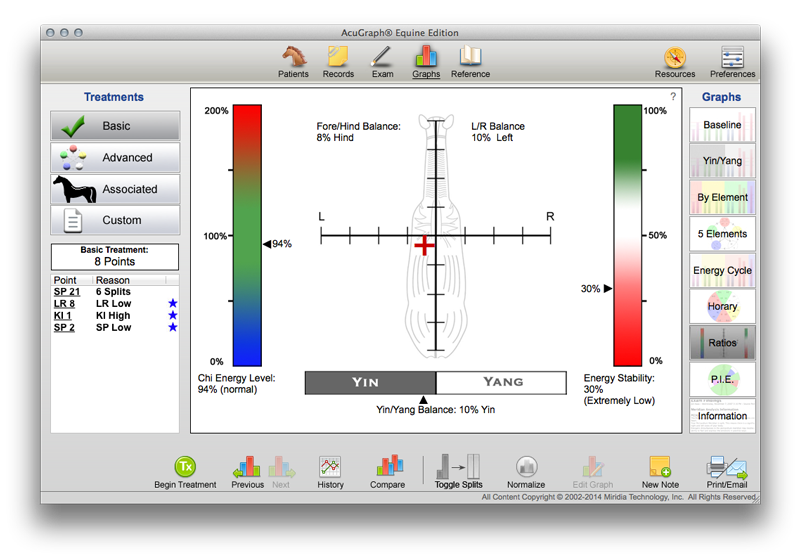 Practice with confidence: With AcuGraph, you’ll know exactly what is out of balance, which points must be treated, and how well your treatment is working. There’s no guesswork, no doubts, and no need to wonder if you got it right. The computer will show you every time! 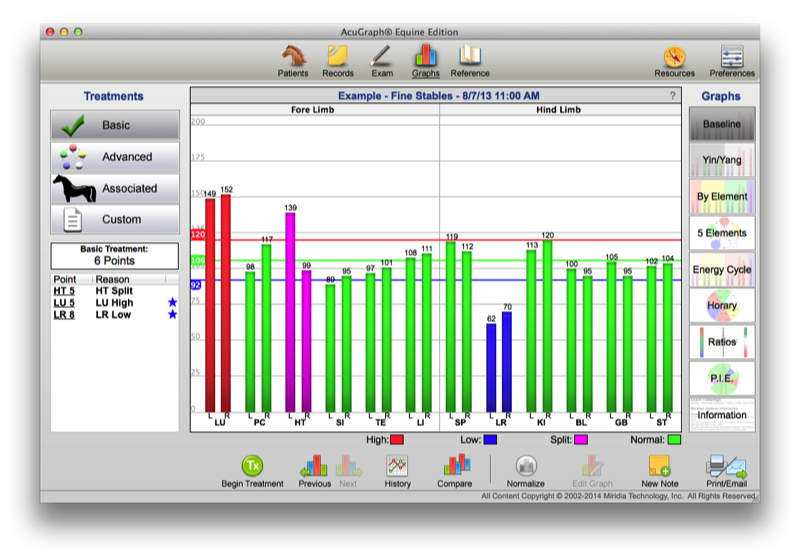 Exercise supreme insight: AcuGraph provides a depth of information you simply can’t get any other way. 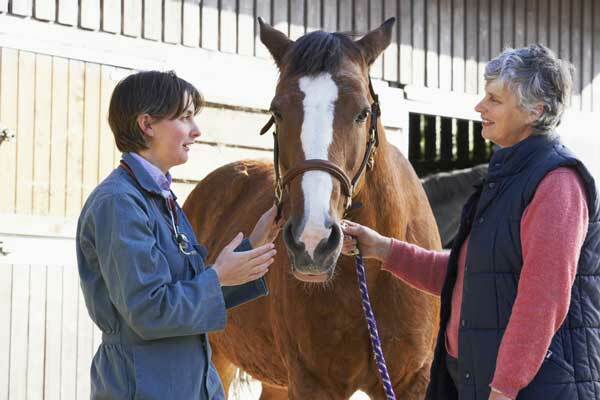 Horses are wonderful patients, but they can’t tell you what’s wrong. AcuGraph, combined with your other diagnostic procedures, gives you better information than you’ve ever enjoyed before! Outshine the competition: Owners, trainers and riders all LOVE the objective information AcuGraph provides. When you can not only tell, but also SHOW what’s wrong and how you’re addressing the problem, you have an unbeatable combination—and marketplace advantage. Who will they call first? The practitioner who can pinpoint the problem and get it solved. That’s you! 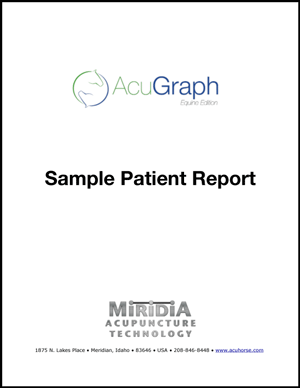 Click the Sample Patient Report to see a full report!